LAKELAND, Fla. - Accusoft, based in Tampa, FL and the leading document and imaging software company, has solidified its partnership with Florida Polytechnic University through a gift of an endowed scholarship to help talented students with a financial need to pursue their dreams of a high-tech career. 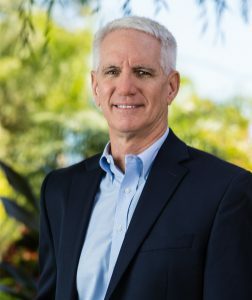 "I tell people all the time the most exciting thing to happen to the tech community in this area is Florida Poly, and I've said that at meetings and will continue to say that," said Jack Berlin, Accusoft's Chief Executive Officer. Accusoft creates some of the most sophisticated imaging technology in the world, and Florida Poly has built a strong partnership with the company since the university opened its doors to students four years ago. The tech firm has provided internships to numerous Florida Poly students - including six this past summer. In fact, Accusoft now employs three Florida Poly graduates as a direct result of those opportunities. "It's good for us because we can't find those skills readily in the marketplace," said Susan Gorman, Accusoft's Vice President of Engineering. "We find people who are very eager and capable to learn new things and we're able to bring them on board and promote them quickly. I think Florida Poly is preparing its students very well." Accusoft has about 160 employees and provides a wide array of document and imaging solutions to developers worldwide. Florida Poly interns are able to work on a broad range of tech-focused projects, from developing web applications to technical support, cloud servers and quality assurance - to name just a few. "We are extremely grateful to Accusoft for their continued commitment to Florida Poly," said Kevin Aspegren, the university's Vice President of Advancement. "Our students are benefitting from life-changing opportunities there through internships and now full-time positions. This is an example of how critical industry partnerships are to the success of Florida Poly and the area's economy." Christine Hairelson, Accusoft's Head of Human Resources, couldn't agree more and said the scholarship is just another example of how strong the company's commitment is to Florida Poly. "It affirms our partnership and our desire to help students find this career path and make it available for those who maybe couldn't afford to go to college otherwise," said Hairelson. "The education, curriculum, and soft skills Florida Poly is equipping its students with have been very beneficial from a talent perspective."